Our team is well trained and capable to help you & your children. A cleaning regime is deployed to ensure the disinfection of surfaces and equipment etc. where a spread of infection may occur, suitable personal protective equipment such as facial mask, disposable gloves, protective wear etc. Additionally, if you or your child are not feeling well, have a cold or fever, or have an illness that can spread to other people, either you consider postpone the scheduled consultation appointment or kindly wear facial mask while staying in ONYX to protect our other patients and staff. Please ask ONYX staff for face mask if needed. This is the waiting area full of warm and welcoming atmosphere with many vivid decorations & toys. We have turned our long-lasting passion on Playmobil® toy collections into the reality scenes. It is awfully amazing that we can have our own dream Featured Wall of amusement park echoed by display of miniature toy-sets belonged to the same theme! We are so thankful to that world-renowned toy company PLAYMOBIL® from Germany, and their local distributor, the educational toy company Wise-Kids Educational Toys, have been supporting us. Without their support, ONYX would not be so unique! Besides, furniture and equipment is well organized, maintained and sanitized. Toys are placed in open shelves easy reachable at child’s height. Our lovely pamphlet/magazine rack is securely mounted on wall to prevent fall off accidentally. This reception area where ONYX staff work. 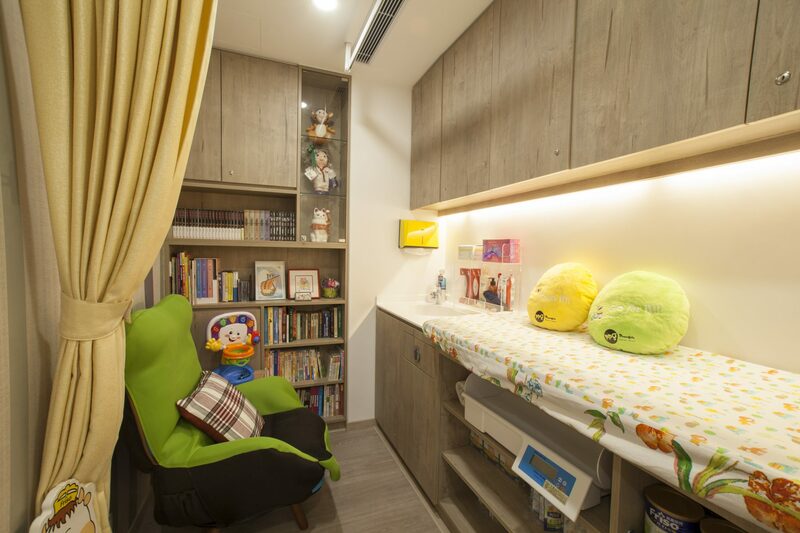 This is a cozy area for private waiting, provided with change table, ergonomically designed breastfeeding sofa, bottle warmer & sterilizer to facilitate your infant care. This is also a place where ONYX staff offers initial assessment of your child and counsel families regarding hospital admission arrangements and perioperative preparation/ management according to the instructions given by ONYX doctors/specialists. 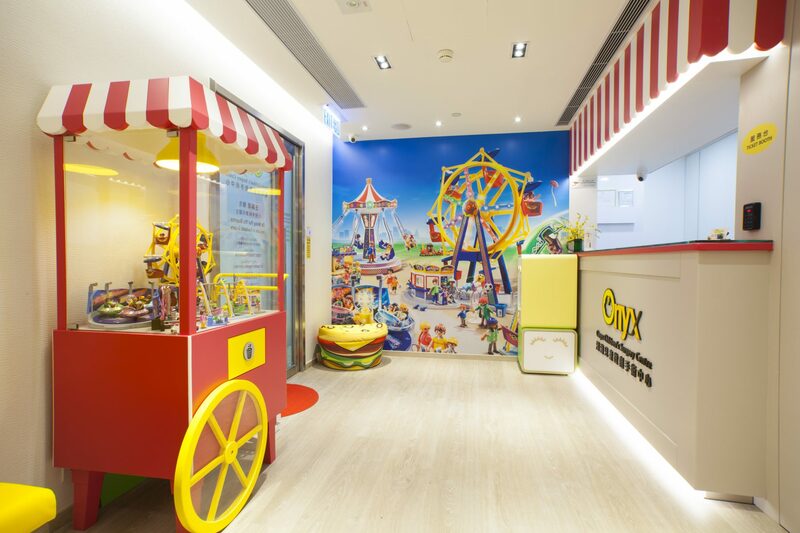 This is the place where ONYX doctor/specialists provide professional consultations & discussion with you & your child for the most suitable treatment plan. 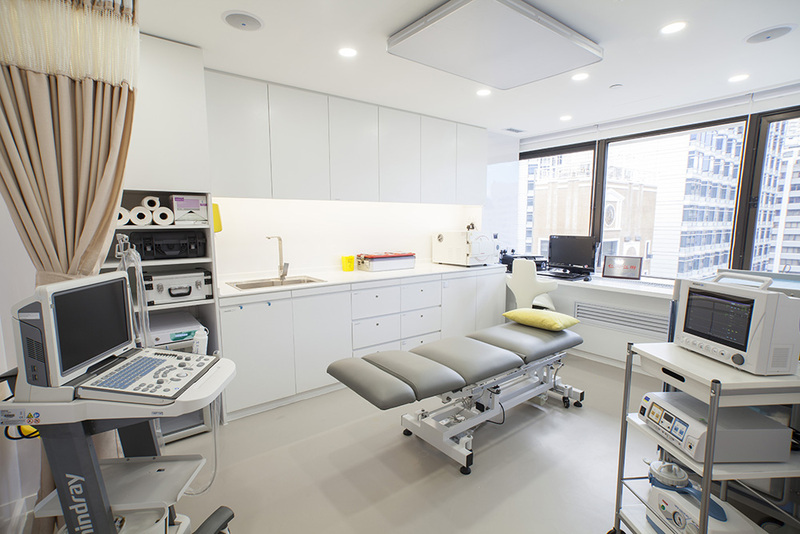 This is the place where surgeries or medical procedures to be performed. It’s named as art room as operating a child is considered as performing an art! 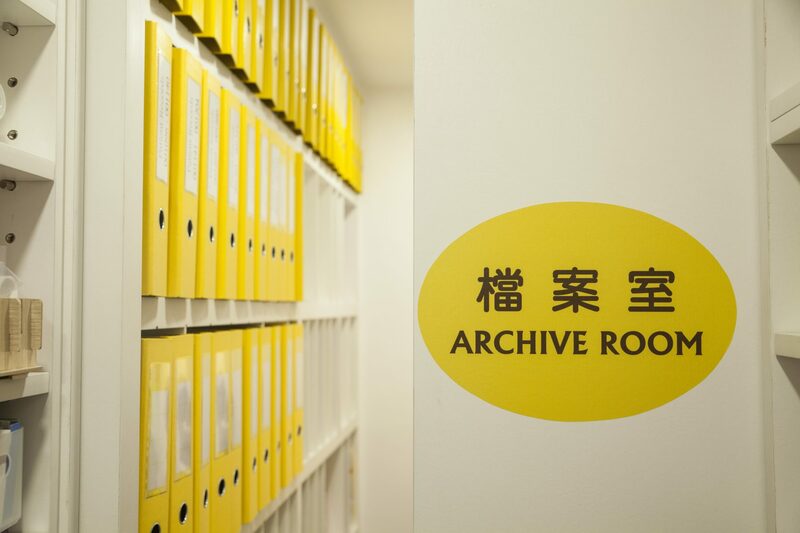 This is a space for collection of ONYX patient records, Pharmacy, Staff storage & Pantry. This is an area restricted to be accessed by the ONYX staff. ONYX is geared with central air conditioning which is under regular maintenance and cleansing. Provision with indoor air purifiers with its HEPA filter eliminating airborne contaminants much smaller (0.009 microns) than those harmful PM2.5 (2.5 microns) particulates identified by World Health Organization (WHO). Besides, ONYX would provide facial masks to child or families if needed. ONYX use of high quality laminate flooring from a top German brand in most areas with characteristics of robust, easy to clean, hypo-allergic & sound absorbent. Whereas in Art Room (operating room), it is laid with specialize flooring sheet at medical grade from Japan. All floor surfaces are in a good state of repair and any spillages are cleaned as soon as possible. We keep the floor areas as clear of obstruction as is reasonably practical. Water dispensing machine is available freely to visitors and the hot water dispensing is limited by using safety button. Water purifier we used is up to 99.99% effective in eliminating waterborne viruses and bacteria & removing chlorine, heavy metal and carcinogenic by-products. All windows are securely locked and forbidden signage of climb over is in place to prevent children falling out of windows. The window films are high quality unidirectional UV protection. The window blinds are easily clean and cords are secured to keep out of reach by children. ONYX provides play equipment of appropriate safety standards which is installed and used in accordance with the manufacturers’ instructions. We regularly check the play equipment to ensure it is in normal condition, any damaged parts will be referred for repair or replacement. The play equipment is frequently cleaned to prevent cross infection. Security – CCTV monitor with recording device; electronic locked doors; exit buttons installed at high level to prevent children walkaway; restricted access to our pantry and operation room where children could be injured without any supervision. Lights –LED lightings with natural color bulbs are used for eyes’ comfort & energy conservation. Background music – Broadcast of lively music to foster a pleasant atmosphere. Wall & Partitioning – Full height walls embedded with sound control material to reduce noise impact. We use high-quality, odorless paint and wall paper for all wall coverage. Furniture – All furniture is child-proof with no sharp corners, providing a friendly environment to all. Japan manufactured surface material used for the sofa mattress in Onyx’s Fun Zone (Waiting lobby) is proven to be resistant to fire, blood and bacteria including E. Coli. Regular cleaning is done every day. Door safety – The door closer is regularly checked to ensure its closing speed & force will not hurt the little hands of children or finger entrapment. Electric safety – All electric and portable appliances are maintained in safe conditions. Socket covers are used where necessary. Chemical Safety – Chemicals such as cleansing agents, bleach etc. have children proof caps and securely locked in a cupboard where children are unable to access them. Fire Safety – It is protected with smoke detectors, sprinklers, fire extinguisher, emergency lighting and exit signage, fully compliant to local Fire Ordinance.